It’s a new year, a fresh start. 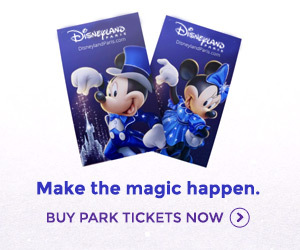 Time to get your calendar in order — your Disneyland Paris Calendar. Here are five big updates to see us through the first few months of 2018 and beyond. While the official website still decides to drip-feed us new hours day-by-day in an excruciating format that requires so much clicking and tapping to decide on your holiday dates you’ll sound like a round of “Chim Chim Cher-ee”, here we’ve got Park Opening Hours for the whole first four months of the new year ready to browse in full, month by month, with coloured booking pricing seasons alongside. After the pains of the Experience Enhancement Programme, Closures & Refurbishments in the first few months of 2018 continue the return to normality for the parks, with the usual seasonal closures, brief maintenance shutdowns and only one big-hitter missing for major overhaul: Phantom Manor. Missing for too many months from our guide, Restaurant Closure dates make a welcome return, helping you avoid a wasted walk to a dining location that’s off the menu for the day (still an all-too-common occurence for Disneyland Paris visitors). Happy new year to all — and the “new” begins here! Hi regarding the super hero’s is it just for the summer or it will on every summer? Thanks. Hi Brenda, so far Marvel Summer of Super Heroes is only confirmed for this summer, however it is very likely to return with similar dates next year too.